Description: A stunning, inviting architectural look is evoked with this handsome wall sconce design for luxurious interiors and exteriors. 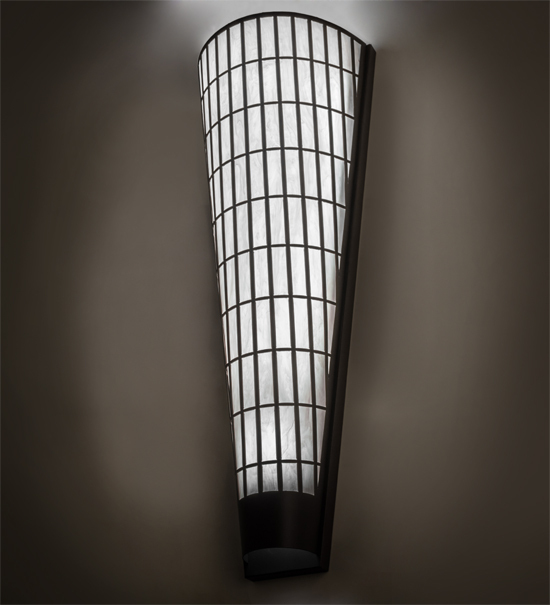 Kalahari is a curvaceous luminaire featuring Fleshtone Idalight which is designed with a stunning gridwork pattern, frame and hardware featured in a Cafe Noir finish. This tapered fixture illuminates with Integral LED lamps for energy savings and long lamp life. Handcrafted by highly skilled artisans in our 180,000 square foot manufacturing facility in Yorkville, New York. Custom colors, styles and sizes are available. Dimmable energy efficient lamping options. UL and cUL listed for dry, damp and wet locations.